In today’s society, we are bombarded with the newest, quickest and ‘healthiest’ diet that claims to give us the body and the wellbeing that we desire. Unfortunately, the diet dogmas can leave you with a myriad of problems and actually cause you to be sick! Not the outcome you were hoping for I bet. I have tried many diets in the past...You name it, I’ve most likely tried it for a short or long period of time. It was so easy to get caught up in the ‘new best thing’ when they claim to give results within 24 hours and give you the beautiful skinny body that you think you desire, but little did I know that I was doing my body more harm than good. I was so focussed on what I wanted to achieve, that I was essentially disconnected from my body. I purely fed my body what I was told I should eat by external sources, rather than listening to what I actually needed. Many years ago, this mindless eating was the reason I had excess kg’s to begin with, and not once was I taught while following these diets to listen to my body and fuel it according to my individual needs. Don’t get me wrong, I am a firm believer that everything has it’s purpose and I have heard beautiful weight loss stories from following some diets when their health was in danger. Some people have truly turned their lives around by following a strict set of guidelines and this can essentially save lives. However, these diets do not teach anyone how to connect with their inner voice for guidance on what they really need. We are brought up in a world where we are given food to eat but rarely (if ever) does anyone ask children, how did you feel after eating that? Do you feel like this or that? I’m sure if you’re reading this, you have most likely tried a diet or many in the past and have probably experienced the fact that they are not a sustainable way of eating for the rest of your life. They either deprive you of foods and nutrients that you need or create more stress in your mind and consequently in your body, for the difficulty they entail. You may experience a quick drop on the scales and then once it all becomes too hard, the vicious yo-yo diet begins. So what is the alternative to the next fad diet and which diet is right for me? I choose the no-diet diet to ultimately nourish my mind and body. There are many sensible and credible approaches to nourishing your mind and your body, however there is no one approach that ultimately trumps the rest, except for eating whole foods. Every single person has a unique individual metabolic structure and health history, therefore we cannot truly say that one diet is best for someone, without first assessing their health history and current health status. I hear you saying, so how do I know what I should eat if I want to lose weight? What do I need to eat to feel better and look my best? The key is mindful eating, along with eating food in it's most natural state! Mindful eating is not about weight loss, however eating with this purpose and awareness can result in weight loss, rather than continuing the mindless eating pattern. The principal of this way of eating if what we have known for thousands of years and what our ancestors did every day. They would feel their food, smell it and prepare it with love. They would eat in peace and quiet and chew their food to support their digestive system and listen to when they were full. 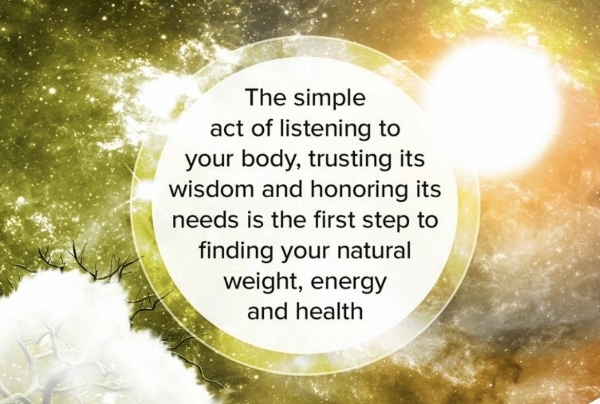 Listen and learn what your body needs, sit quietly and feed it accordingly. It is important to listen to the signals of your body - the hunger and satiety signals by eating mindfully. In the rush of today, some eat on the run or while at the computer, rather than actually paying attention to what the food smells like, what it feels like in your mouth, the texture and the taste. Mindless eating is a monumental reason why so many people today suffer from digestive issues and weight gain. Mindful eating can improve both physical and mental health. It requires you to eat slowly, to eat in a relaxed state and chew your food (27 times or more...yep this is hard for many). The more aware you are of what you are putting in your mouth, the more gratitude you will develop for your food, and your body and mind will respond in a positive way. When you eat mindfully, you are less likely to over-eat, as you become aware of the satiety signal and feel in control of your choices. Eating food in it's most natural state, is what we too have known for thousands of years! These foods are what we are genetically and biologically designed to metabolise and consume. This includes plants, vegetables, fruits, herbs, proteins. Anything that lived on or under the ground is what your plate should consist of. Keep it simple ladies! Eating should not be complicated but unfortunately due to the myriad of 'diets' and eating approaches, it sounds difficult. JUST KEEP IT SIMPLE and KEEP IT REAL - Eat real food in it's most natural state! So, I ask you to join me now on the no-diet diet. Practice self-love! And repeat, repeat, repeat! These are key foundations for achieving sustainable weight loss, healthy eating and to rid the diet dogma for life. It will truly transform your relationship with food and the relationship you have with yourself. If you're ready to achieve permanent weight loss, contact me today to schedule your complimentary discovery session where I give you free advice on which options may best suit your needs.